Tim Ryan is an American politician. His birth name is Timothy John Ryan. He is currently serving as the U.S. Representative for Ohio's 13th congressional district since 2003. He is also the member of the Democratic Party. He announced his candidacy for President of the United States on 4 April 2019. What is Tim Ryan Famous For? Candidate for President of the United States. 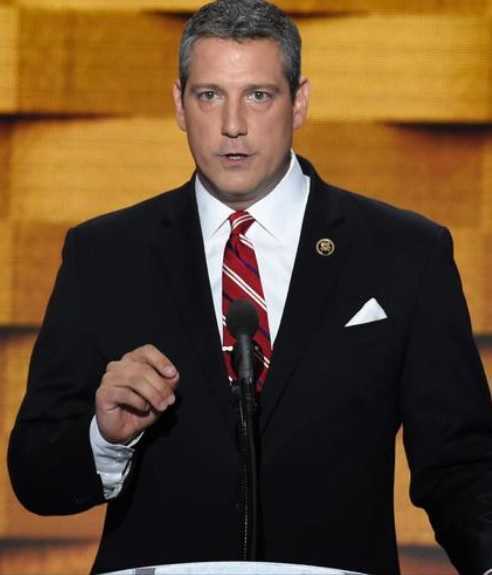 Where was Tim Ryan Born? Tim Ryan was born on 16 July 1973. His birth name is Timothy John Ryan. He was born to a father, Allen Leroy Ryan, and a mother, Rochelle Maria. He is of Irish and Italian descent. His birthplace is in Niles, Ohio in the United States. He holds American nationality. His zodiac sign is Cancer. His parents got divorced when he was 7. Thus, he was raised by his mother. He attended John F. Kennedy High School in Warren. He played football as a quarterback and coached junior high basketball while at high school. He then enrolled at Youngstown State University to play football. However, his football career ended after suffering a knee injury. He then transferred to Bowling Green State University. He graduated with a Bachelor's Degree in political science from Bowling Green in 1995. He joined the staff of Ohio Congressman Jim Traficant after graduating from Bowling Green State University. He was a member of Delta Tau Delta fraternity. He earned his Juris Doctor degree from Franklin Pierce Law Center in Concord, New Hampshire in 2000. After receiving his Juris Doctor degree, he served half a term in the Ohio State Senate. Ryan declared his candidacy for the 17th District after Jim Traficant was convicted on criminal charges in 2002. As the result of redistricting following the 2000 census, the 17th, which had long been based in Youngstown, had been pushed to the west and now included much of Portage County and part of Akron. The 14th had been eliminated in the year 2000 redistricting. Most of it was drawn into the 13th District of fellow Democrat Sherrod Brown, but Sawyer's home was drawn into the 17th. He was initially seen as an underdog in a six-way Democratic primary that included Sawyer. He defeated Sawyer in the 2002 Democratic primary. He faced Republican Insurance Commissioner Ann Womer Benjamin and Traficant in the November 2002 general election. He won the election with 51 percent vote. He took the office in January 2003. He became the youngest Democrat Democrat in the House. He was 29 years old then. He has been reelected in the position five times. He was one of seven members of Congress who voted against the Do-Not-Call Implementation Act. He was also one of 8 Congressmen who opposed ratification of FTC's establishment of National Do Not Call Registry. He was a member of the "30 Something" Working Group, which is a Congressional caucus that includes those members of the United States House of Representatives who are Democrats and have not yet reached the age of 40. He earlier voted for the Stupak Amendment restricting federal funding for abortions. But he later reversed his position on abortion and now identified as pro-choice. He introduced the Currency Reform for Fair Trade Act in 2010. It passed the House but never made it to the floor in the Senate. His district was renumbered as the 13th in 2012 and was pushed westward, absorbing most of Akron. He initiated a bid to replace Pelosi as House Minority Leader in November 2016. Pelosi agreed to give more leadership opportunities to junior members and she defeated Ryan. He helped Adi Othman to remain in the United States. Othman was an illegal immigrant in Youngstown, Ohio who had lived in the United State for nearly 40 years, was married to a US citizen, and had four US-born children. He repeatedly presented a bill to Congress. The bill was in motion and Othman could temporarily stay. However, he was deported from the United States in February 2018 after President Donald Trump directed US Immigration and Customs Enforcement to increase the number of arrests and deportation of illegal immigrants. Ryan was widely seen as a possible presidential candidate for the 2020 presidential election following the 2018 midterms. He was seen traveling to early primary states such as Iowa and New Hampshire in February and March 2019. He announced his candidacy for President of the United States on 4 April 2019. His book, A Mindful Nation was published in March 2012. The book is about the practice of mindfulness in both private and public life. His other book, The Real Food Revolution was published in October 2014.
Who is Tim Ryan Married to? 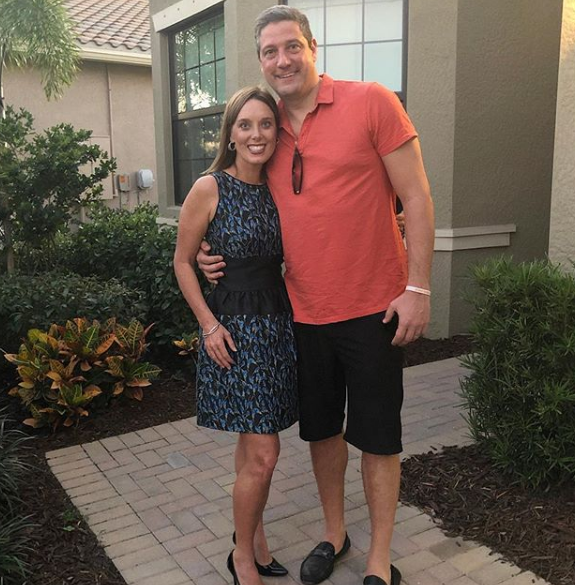 Tim Ryan is a married man. He is married to Andrea Zetts. They got married in 2013. The couple had a son, Brady, born in 2014. He lives with Zetts' two children from a previous relationship. What is Tim Ryan's Net Worth? 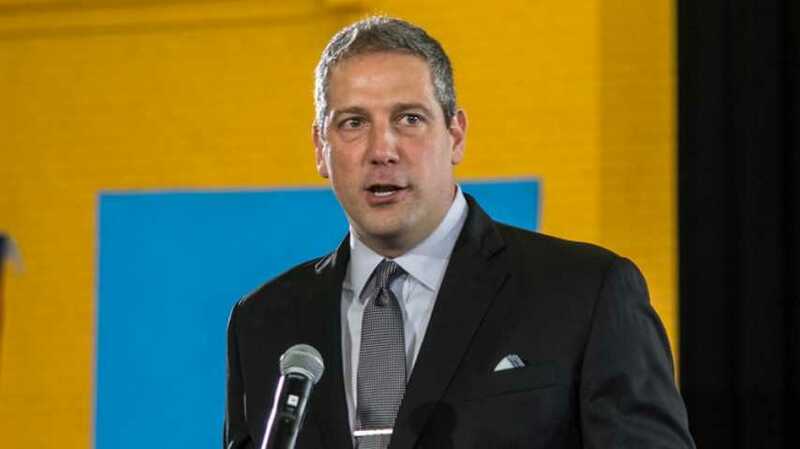 Tim Ryan is an American politician serving as the U.S. Representative for Ohio's 13th congressional district. His salary is unknown. His net worth is not available at present.